On nine minutes, Jack Doyle went down the left and crossed into the path of Rory Patterson but the striker was unable to test Moran. Two minutes later, Daniel Kelly fed Ronan Coughlan but he shot wide. Five minutes before the break Cory Galvin brought down Jamie McDonagh inside the box. Aaron McEneff duly converted from the resultant penalty. 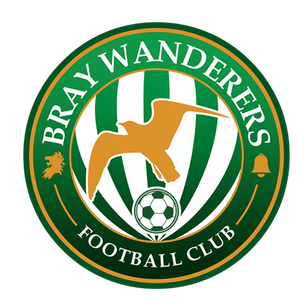 In the second half, Wanderers were denied a penalty when Cory Galvin went down in the box after a challenge by Eoin Toal. Wanderers forced back to back corners just after the hour but never really had Doherty’s goal under real pressure. On 82 minutes, Jamie McDonagh fired a long range free kick off the post which rebounded into the hands of the grateful Evan Moran. The home side wrapped up the points four minutes from time when McEneff curled an effort on the edge of the penalty area past Moran. Derry City: 1 Gerard Doherty, 2 Conor McDermott, 4 Aaron McEneff, 7 Jamie McDonagh, 8 Rory Hale, 11 Rory Patterson, 14 Gavin Peers, 15 Eoin toal, 25 Ronan Hale, 36 Jack Doyle. Subs: 13 Eric Grimes (gk), 3 Dapo Kayode, 17 Cathal Farren (for McDermott 90), 19 Evan Tweed, 23 Ben Doherty, 27 Adrian Delap (for Ronan Hale 70), 29 Niall Logue.